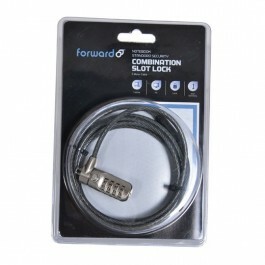 This Forward Notebook Standard Security Combination Slot Lock is designed to keep your laptop safe from theft. The lock features a 4-digit resettable combination (up to 10,000 combinations). It is made from sturdy and durable alloy with nickel finish.